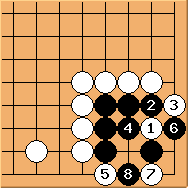 appears to be important, but can only start a ko here. has the option to fight an alternative ko. 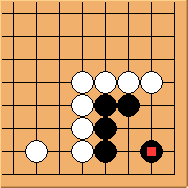 This way white takes the ko first which is a slight improvement. Making / exchange first is the correct order. 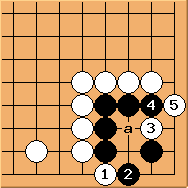 Then white can come back to the key point and kill the corner - black cannot play 'a'. 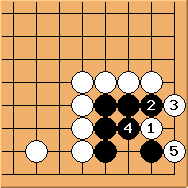 Conclusion: Diagram 27.4 is a simple and elegant solution.